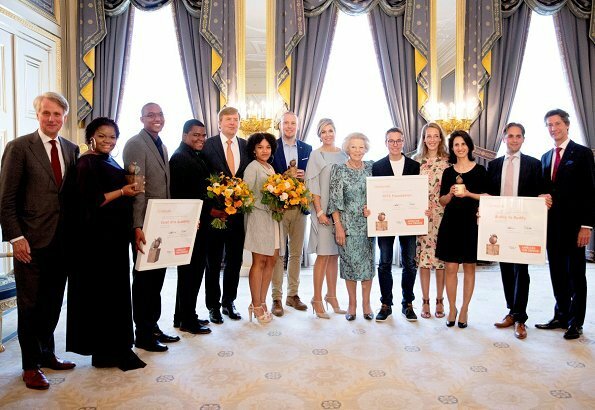 On June 6, 2018, King Willem-Alexander, Queen Maxima and Princess Beatrix attended 2018 Oranje Fonds award ceremony (Appeltjes van Oranje) held at Noordeinde Palace in The Hague. 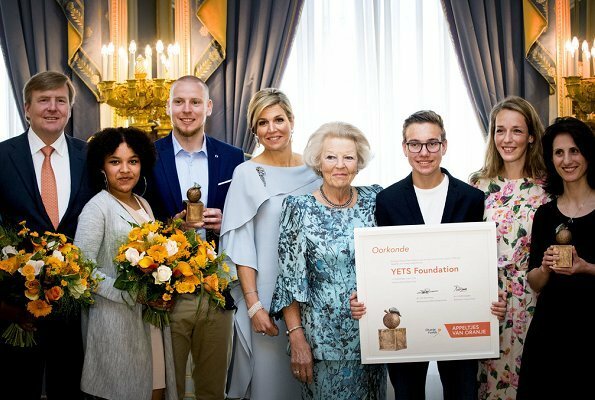 The annual award of the Oranje Fonds has this year been awarded to the projects Buddy to Buddy with Armijn van Roon and Willemijn Voorham, Yets foundation with Peter Ottens and Excel arts academy with Shelomi Doran-Bakhuis. Stunning Dresses by both Ladies and jewelry also the accessories are matching. Lovely hair do and makeup,lets not forget the beautiful smile at a nice event. 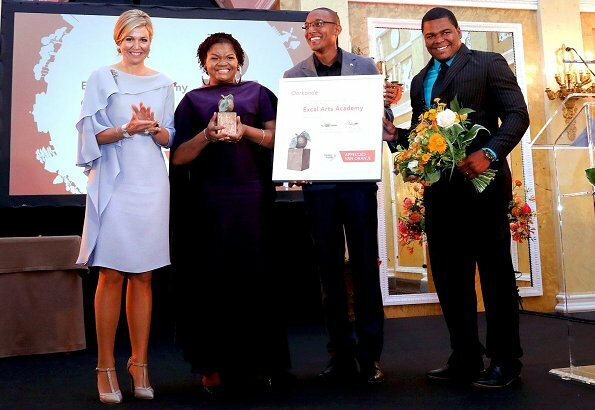 Maxima wears that beautiful dress well! Both she and that dress do each other good justice. I quite like it, love the colour but the material has creased a bit where she's been sitting for a while. Lovely jewellery, good hairstyle and that fantastic smile. Stunning,perfect.Maxima shows her best side of fashion -regal,classic with a bit of glamour. Perfect and that brooch to die for. What a lovely and interesting dress on Maxima. Very lovely color. Also lovely hairstyle and choice of jewellery. 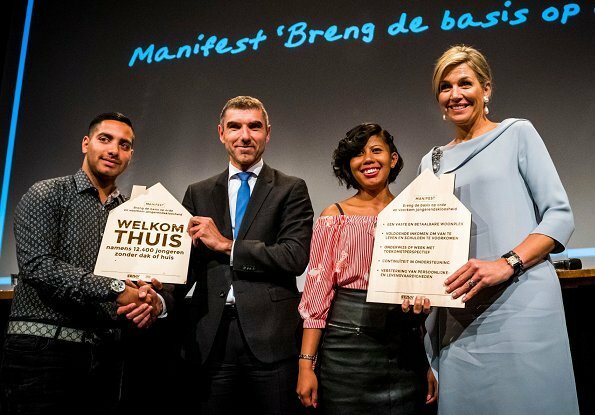 Queen Maxima, her hairdo is great, the dress too. Princess Beatrix also stunning as always! 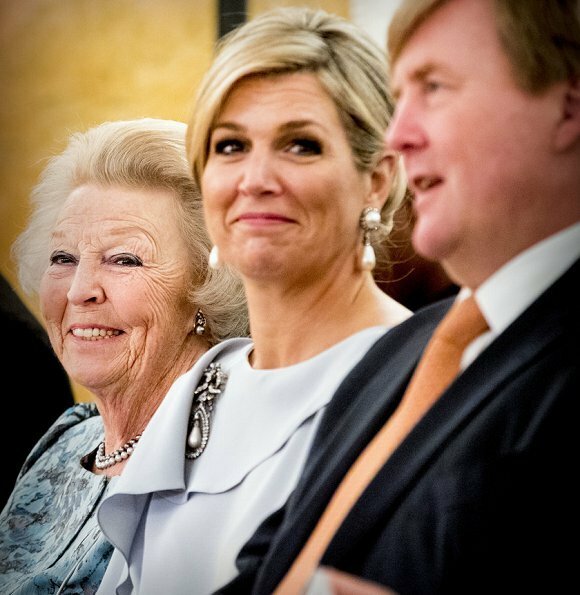 Very sad about Maxima's sister Ines, may she rest in peace.